Theliveyil starts with a kids’ chorus (Devadutt, Surya, Rohith, Harikiran), before getting taken over by Sangeetha Srikanth and Sudeep Kumar in a waltz-y setting. The tune is simple, likeable, and is delivered and treated very well; star of the arrangement being the violin (Roopa Revathi). Mounangal is even better, the melody and arrangement are both more intricate – while the former is handled by Vijay Yesudas and Aparna Balamurali to a tee, the arrangement provides a different cynosure at different points, flitting from sax to sitar to violins to clarinet (brass by Rajesh Cherthala, sitar by KJ Paulson). Another melodic piece follows with Cherupunjiri, this time of a more pensive nature. Once again, excellently constructed tune that Nikhil Mathew delivers with finesse. Composer Bijibal does some splendid work in the backdrop, the interludes especially. The soundtrack’s towering highlight however is the makers’ ode to one of Kerala’s most picturesque districts, Idukki. While the music video beautifully captures the scenery and everyday life in the region, Bijibal manages to bring a rain-soaked, highland-ish feel in his soundscape too, building around Rafeeq Ahammed’s finely written verse. Composer himself leads the vocals, with some excellent harmonic backing from Soumya Ramakrishnan, Santhi and Sangeetha Prabhu. 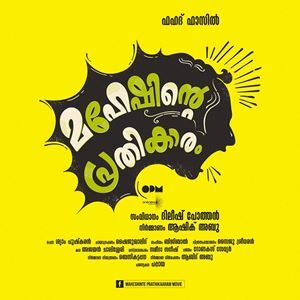 Maheshinte Prathikaram. Don’t know about director Dileesh Pothan’s movie-making skills (the videos thus far have definitely been promising) but he definitely seems to have acquired Aashiq Abu’s musical sense, working as his associate! He even uses the composer with whom Abu has had some fine soundtracks. And Bijibal seems unstoppable at the moment, continuing on the top form he was in last year! MALAMELE THIRIVACHU (IDUKKI) : LYRICS – Rafeeq Ahammed. SINGER – Bijibal. CHORUS – Santhi, Soumya, Sangeetha. Keyboard Programming – Vipin Lal. Mixed and mastered by Bijibal @ bOdhi. THELIVEYIL : LYRICS – Rafeeq Ahammed. SINGERS – Sudeep Kumar, Sangeetha Sreekanth. Kids Chorus – Devadutt, Surya, Rohith, Harikiran. Keyboard Programming – Jibin Gopal. Guitar – Sandeep Mohan. Violin Solo – Roopa Revathi. Strings – Francis Xavier, Josekutty, Herald, Francis, Chacko. Mixed by Shreeshanker @ Muzik Ministry. Mastered by Bijibal @ bOdhi. MOUNANGAL : LYRICS -Rafeeq Ahammed. SINGERS – Vijay Yesudas, Aparna Balamurali. Sitar – K J Paulson. CHERUPUNJIRI : LYRICS – Santhosh Varma. Keyboard Programming – Vysakh Bejoy.